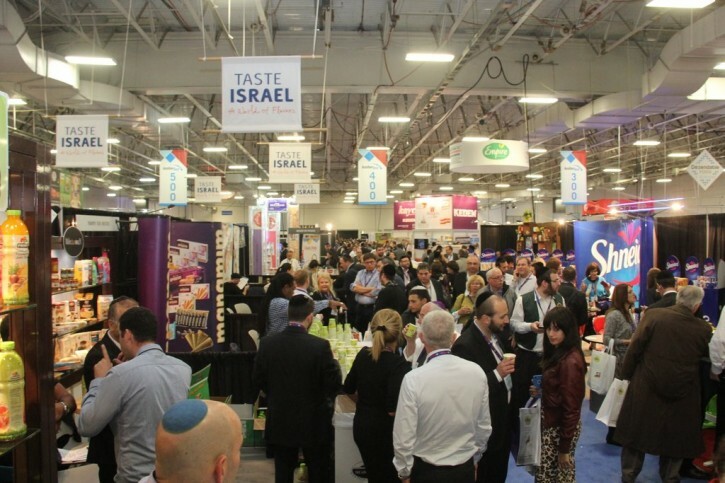 New Jersey - Now in its 29th year, Kosherfest, the world’s largest kosher food show, continues to grow with the annual event drawing thousands of visitors and exhibitors from all over the world. One of the things that is very clear about Kosherfest is that the show is different things to many people. The typical Boro Park dip manufacturer probably has no interest in what new flavor macaroon Streits will be introducing next Pesach, while a supermarket buyer from Kansas City may not care about the latest cholov yisroel nougat cream introduced by Baker’s Choice but would be elated to discover that Manishewitz’s Matza S’mores took home the best kosher for Passover award this year. 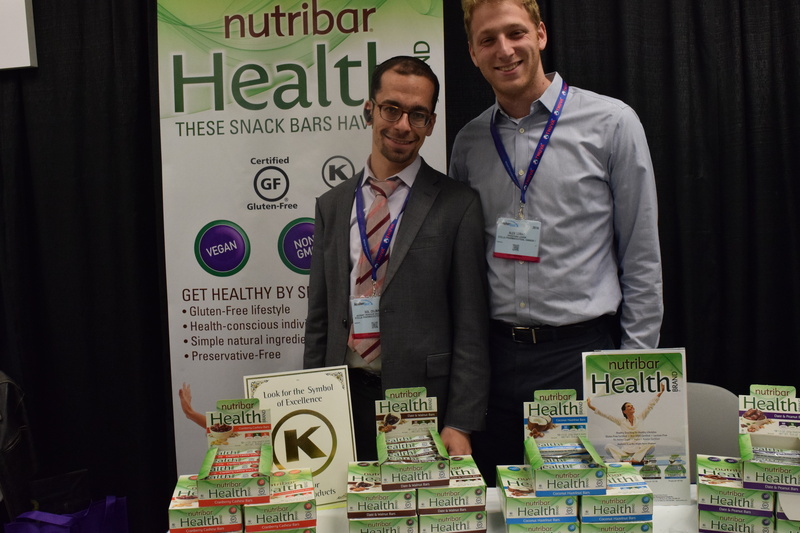 Some people go to Kosherfest looking for gluten free, vegan and organic items to round out their healthy diets while others rank taste over nutritional content in their hunt for intriguing new items and the show appeals to all segments of the market. 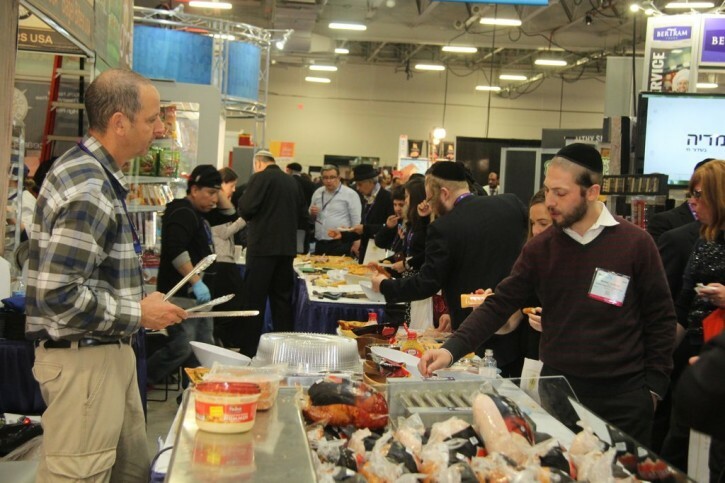 Many vendors that have become part of the fabric of Kosherfest previously were back this year for the show on November 15th and 16th at the Meadowlands Exposition Center in Secaucus, New Jersey. What would the annual kosher food show be without swarms of hungry men gathering around the Jack’s Gourmet booth, gobbling up sausage samples? Klein’s Ice Cream, Guss’ Pickles, Agri Star, Kayco and Meal Mart have all become show institutions, much the same way that Kosherfest wouldn’t be complete without Mikee Sauces displaying yet another best product award at their booth, a prize garnered this year for their Asian Sauce line. 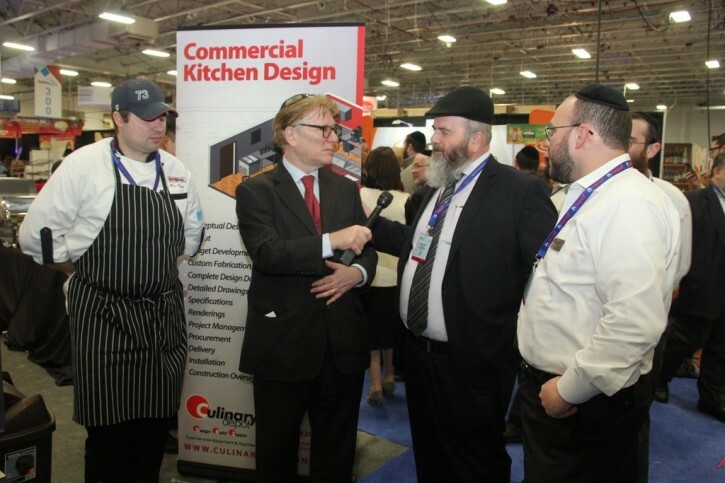 And as always, kosher supervision agencies were well represented at the show, with employees of the Star-K, Chicago Rabbinical Council, Kashruth Council of Canada, the London Beis Din, Kof-K, Kosher Japan, OK Kosher and the Orthodox Union all on hand to discuss kashrus. While the ongoing food demonstrations featuring notables including Joy of Kosher’s Jamie Geller and Chef Katsuji Tanabe of Mexikosher are always well attended and the pavilions from Israel, Japan, Czechoslovakia, Korea, the Philippines, Sri Lanka and India were fascinating, the most interesting item at Kosherfest wasn’t a food item and it wasn’t even at the show. It was the news that the Orthodox Union has given its stamp of approval to two marijuana extracts to be used for medicinal purposes. The decision to certify both marijuana vapor and marijuana oil for medicinal purposes was one that required much consideration, explained Rabbi Moshe Elefant, chief operating officer of the Orthodox Union’s kashruth division. In its many discussions about medical marijuana, the OU’s kashruth division learned about the very tight controls on medical marijuana, including how it is dispensed and administered. “With what we learned, we felt comfortable that only people who need it for health reasons will be getting it and we want to help them have better lives,” said Rabbi Elefant. Rabbi Elefant noted that there are no plans to certify recreational marijuana. The OU is considering an application for brownies that contain marijuana, but they too would only be used for medicinal purposes. “For someone who isn’t well, this is just another way to consume medical marijuana,” observed Rabbi Menachem Genack, chief executive officer of the OU’s kashruth division. 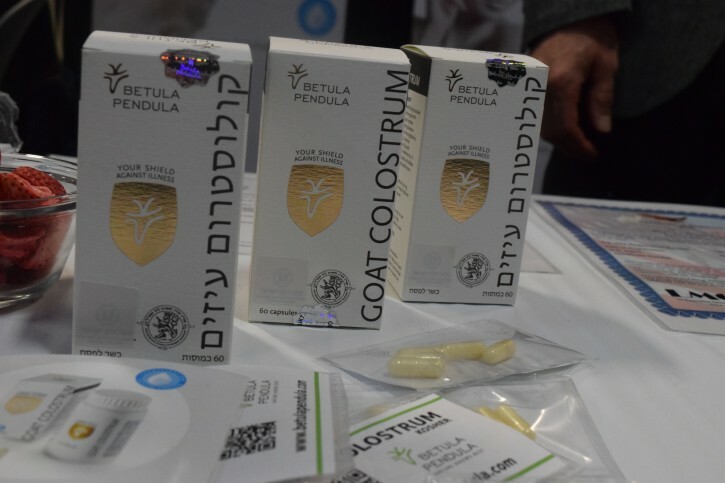 Another intriguing non-food item at Kosherfest was goat colostrum, which uses the first milk produced by a goat who has just given birth. Andrea Jelánková, of Betula Pendula explained that goat colostrum is loaded with healthful properties that boost the immune system. “We collect the colostrum from Czechoslovakian goat farms and dry it by lyophilization, removing the water from the milk at very low temperatures,” said Jelánková. Betula Pendula offers goat colostrum in two versions: dried and in caplets to boost immunity, prevent illness and hasten recovery, as well as in a rejuvenating skin serum to inhibit signs of aging. It was a premium hazelnut spread that has yet to debut in the United States that took home Kosherfest’s top prize, the best in show award. 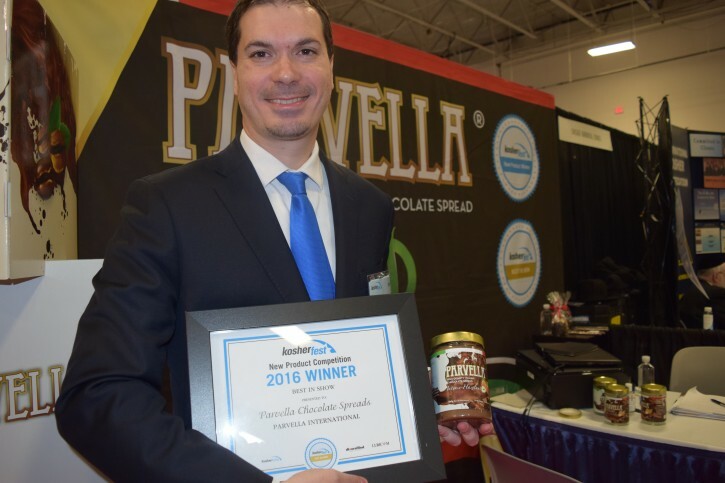 Parvella was created by Tuscany-born Gabriele Zarrugh who was looking for a true Italian hazelnut spread that could be sold at a reasonable price point. 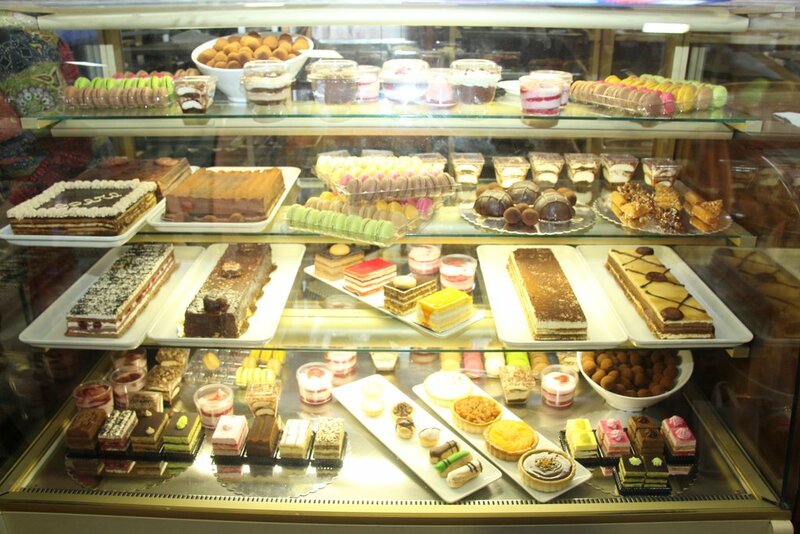 “I worked for the past two years to get the right balance on every flavor,” said Zarrugh. Zaruggh worked with an Italian chocolatier, in business for more than a century, on Parvella, and he conducted more than 67 tastes on each of the product’s four flavors: orange, hazelnut, intense hazelnut and coffee. Available in the United States within the next two months, Zaruggh said the product has been well received in Europe and is being used by both kosher and non-kosher caterers overseas. Trevor Shevil, CEO of the South African based Sally Williams Fine Foods, is hoping that Americans will find themselves enamored by his company’s honey nougats, which are being enjoyed by gourmands in 22 different countries. Shevil saw Kosherfest as the perfect opportunity to introduce Americans to the Sally Williams line of nougat products. In addition to his line of handmade nougats and Belgian chocolates, Shevil hopes to introduce two cream liqueurs to the kosher market in nougat and biscotti cream flavors. Montreal’s Amsalem dried beef sausage was another Kosherfest award winner and Maurice Bensoussan explained that unlike most other cold cuts products that are cooked, Amsalem’s meat are simply dried. Bensoussan said his company’s products have been certified kosher since Amsalem opened in 1928 and should be on shelves in the New York area in the early part of 2017. 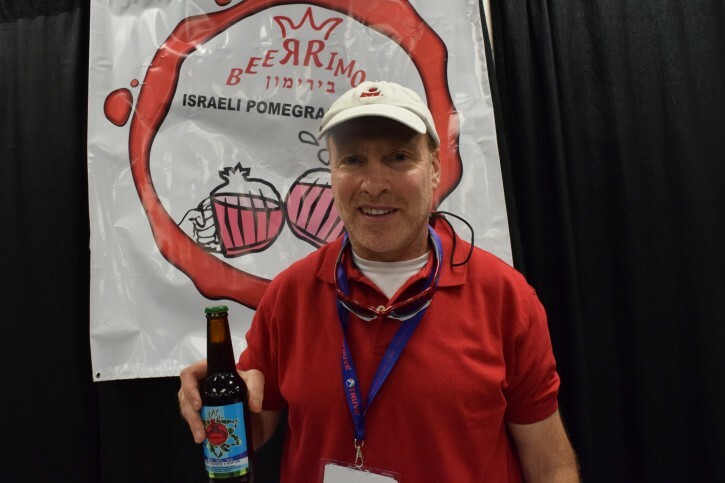 With flavored beers all the rage, Jack Zaremski’s BeerRimon a line of beers that contain freshly squeezed Israeli pomegranate juice has the potential to make it big. Dessert chumus in five flavors was a creative and surprising product. Available on the West Coast in snickerdoodle, chocolate, oatmeal raisin and mint chocolate chip flavors, dessert chumus should be hitting the New York area shortly. 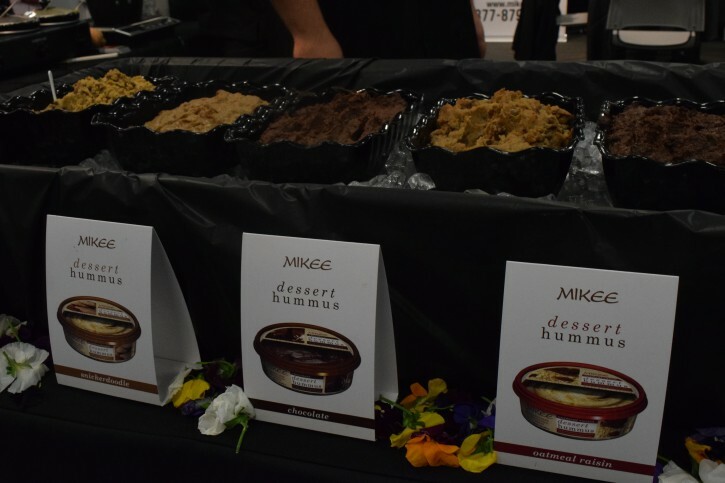 Gabe Chammas of Mikee Sauces described dessert chumus as “a healthy version of Nutella” and said that the company is working on recipes that will incorporate the product. While many local yeshivos may now be peanut-free zones, Bo Perry of Pizootz artisan peanuts said that peanuts typically enjoy a better reputation in most parts of the country. “In the northeast there happen to be a lot of helicopter moms but nationwide the allergy rate is not much more than half a percent,” said Perry. While most flavored peanuts are seasoned on the outside, Pizootz’s premium Virginia peanuts are flavor infused by a patented process that uses water, pressure, steam over more than 24 hours of cooking. The result? A flavored peanut that doesn’t leave hands oily or covered in spice dust. Perry said that his project has been kosher certified since it launched 100 days ago and that of the company’s nine flavors, Baja Taco is the most popular. Small but meaningful changes have occurred at Abeles and Heyman whose line of hot dogs, cold cuts, kishka, sauces and other products were crowd favorites. The company has now taken on the hechsher of Rabbi Yechiel Babad, a move that may help Abeles and Heyman gain traction in the Chasidic world, and new modified atmosphere packaging will increase the product’s shelf life by approximately 30 days and make deli slices easier to separate, according to CEO Seath Leavitt. Lakewood’s Gevinni cholov yisroel cheesecakes were another popular gathering spot at Kosherfest, with the company’s line of supermarket cheesecakes in three flavors taking the show’s best baked good award. Gevinni’s high end Lilac and Creme line bakes gift cheesecakes that can be delivered, intact, overnight. Available in several flavors including peanut butter cream rosette, amaretto and halvah, Green said that the product starts at $65 per cake. Health bars have become increasingly popular and Canada’s Stella Pharmaceuticals line of Nutribars, newly launched in the United States, offer high energy with no more than six ingredients per bar. 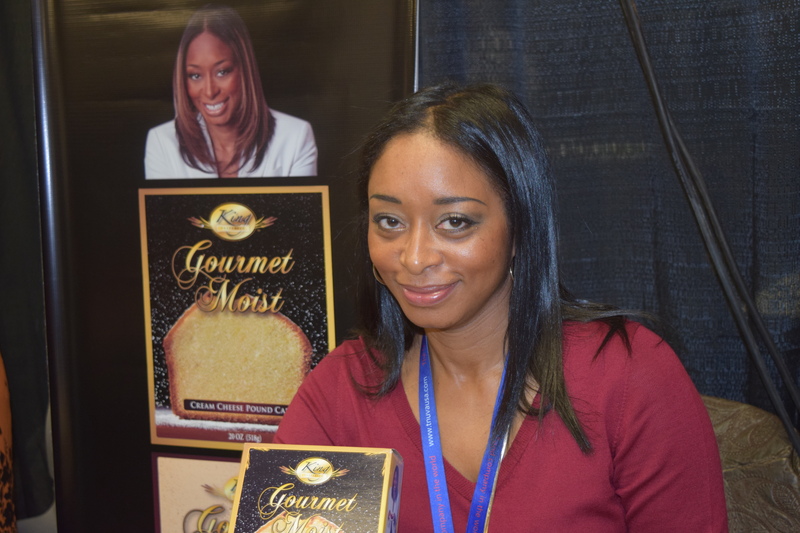 This was a first visit to Kosherfest for Latonya King, owner of King Preferred Southern pound cake mixes. King said flying north for the show was a smart decision for her product, which is certified OU-D and comes in both chocolate and cream cheese pound cake flavors. “Kosherfest has opened a lot of doors to opportunities that I could have never imagined any other way,” said King. Food writer and cookbook author Miriam Pascal of the Overtime Cook food blog said that among her favorite items at Kosherfest this year were Parvella, Open Sesame chumus and Aromasong, a new line of freshly ground, gourmet finishing salt blends from the Dead Sea that is about to debut in kosher supermarkets. Pascal said that her mind is already churning with ideas to incorporate some of her favorite Kosherfest products into new recipes. 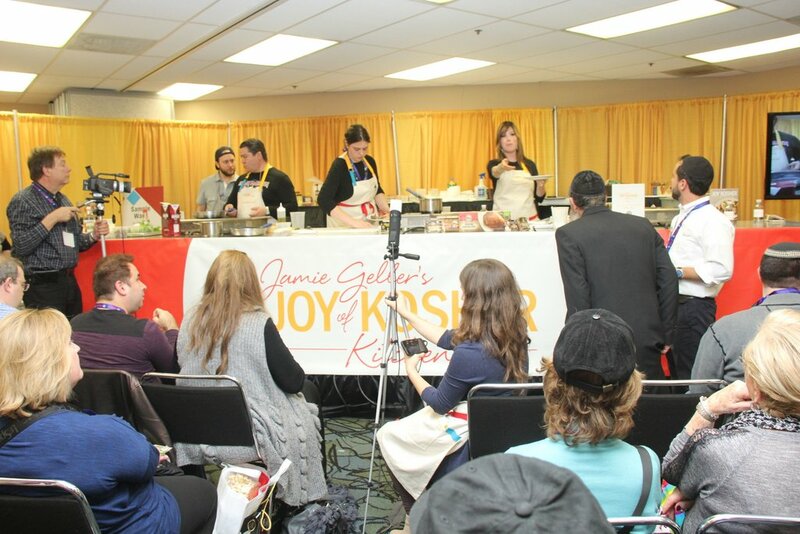 One of the most interesting trends Pascal noted at Kosherfest this year was that kosher media personalities seem to be playing a larger role in the kosher food arena every year. Pascal said that social media is likely the reason that food bloggers are becoming more widely recognized. Food expert Levana Kirschenbaum said that Pelleh’s line of duck products appear to have caught on big this year. Kirschenbaum is about to debut a new line of meal replacement products, created when her husband Maurice was stricken with cancer and lost an alarming amount of weight. Available in vanilla, strawberry and cocoa coffee flavors for use in smoothies, and vegetable and mushroom medley flavors for use in soups, Kirschenbaum hopes to introduce her products in mid-January. “My husband, I keep him good and strong,” said Kirschenbaum. Moshe Stareshefsky of Passaic who came to Kosherfest for his fifth consecutive year said that vendors appeared to be going out all this year to woo customers and that this year’s show was the best yet. Among his favorite products were Jack’s Gourmet sausages and glacier water from Czechoslovakia. 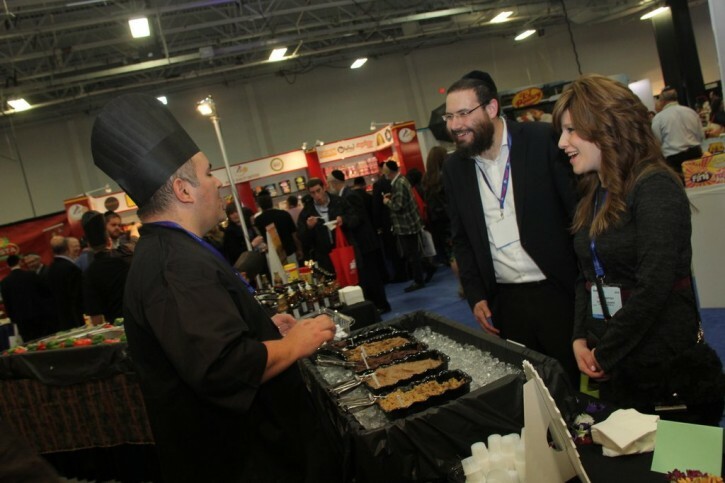 With all of the samples and creative displays on hand at Kosherfest designed to woo customers to a particular booth, one important questions begs to be asked. What happens to all of the leftovers once the show ends? “We have over 35 volunteers coming to rescue what we are hoping will be over 10,000 pounds of food, the amount that we got last year from the generous people at Kosherfest,” said Shaina Goldberg, director of volunteer services of the Met Council. Met Council has been retrieving Kosherfest’s leftovers since it opened in 1987. Volunteers began arriving at Kosherfest at 2 PM where they were given Met Council t-shirts and trained in how to rescue the food, a process that usually takes about six hours. i stopped going to the kosher show because last time i went i ate all chulev yisroel in the morning and pareve for lunch and all afternoon meat products. my head was spinning and my sugar raised to 580. “ i stopped going to the kosher show because last time i went i ate all chulev yisroel in the morning and pareve for lunch and all afternoon meat products. The headline should be "all the different fressers"